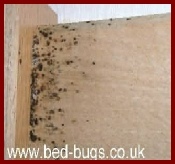 Bedbugs or Cimex lectularius are a pest of exposure. They can easily be spread from location to location by contact. They are not connected with home or personal hygiene and can literally affect anyone. Although not life threatening nor disease transmitting they are an unpleasant pest to deal with and can produce emotional and psychological symptoms beyond the physical bites. They tend to be most active at night while we rest but they are not nocturnal they are just more active at night when there is less risk of being spotted..
Clicking on any of these images will take you to a gallery of definitive signs of a Bedbug infestation, this page may take some time to load due to image size needed to clearly display the pictures. Seek professional experienced assistance and make sure they know what they are doing, research is essential to make sure they are qualified and insured to do the work. Do not use store or Internet bought “aerosol” or “fogger” based products as they often make the matter worse. 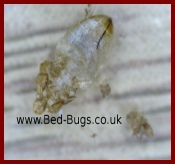 The Diagram beneath is a representation of the life cycle of bed bugs illustrating the changes in size, colour and appearance as they develop from egg to adult. 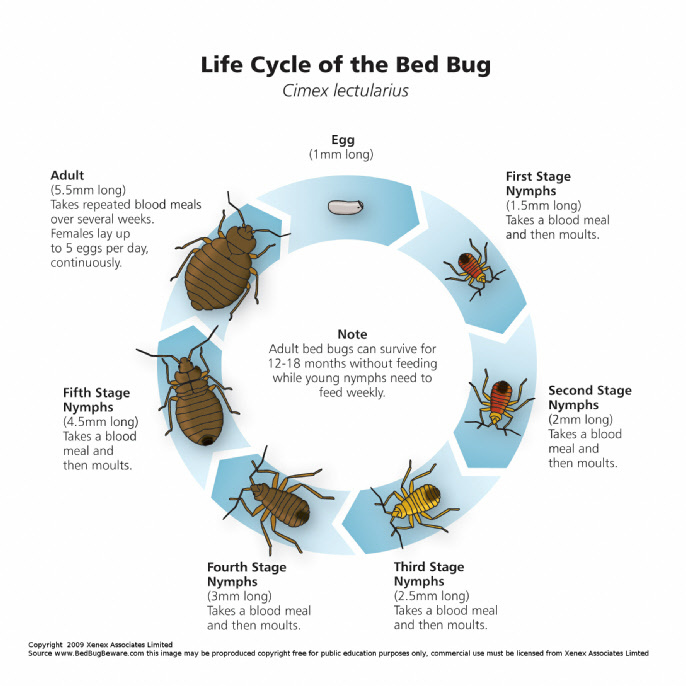 The image is taken from the book Bed Bug Beware - an easy to understand guide to bed bugs their prevention and control by Richard Strand and David Cain. 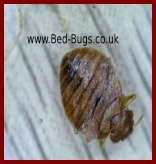 To help you confirm an infestation prior to treatment starting we have developed an inspection confirmation check list in conjunction with BedBugger.com. It is designed to help you ensure that an infestation is confirmed through identification of the physical signs of bed bugs. User of iPhone and iTouch’s systems can now purchase an app to help identify bed bugs and learn how to check hotel rooms for signs of activity. 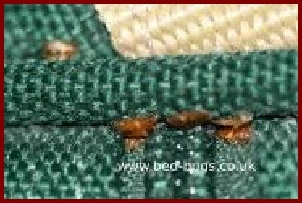 The information on this site is provide free to help people clearly understand the nature of bedbugs and their resurgence in modern society. To help us keep this information updated and accurate we only ask that you help to “spread the word and not the bedbugs” so that others can be helped and we don’t need to waste money on advertising.